National I Love Horses Day! Meet Biscuit, Doobert’s transport of the week! 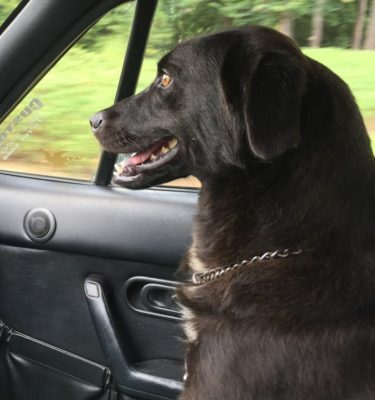 She is a two year old, 50 pound, labrador retriever. Biscuit is a great dog that loves any dog she comes in contact with as well as any people she meets. She is known to be a very happy dog who smiles all the time! Although she is very sweet and has a big heart, Biscuit ended up homeless, with no choice. Biscuit’s family surrendered her to the Northeast Georgia Animal Shelter in Lavonia, Georgia, along with all of her puppies. All of Biscuit’s puppies have been adopted, but she is still waiting for her forever home and that one special person to take her home. Being in a rural area, the shelter Biscuit was surrendered to had very little foot traffic. Even when people came in to look at the animals, she was overlooked and passed by, by everyone that came in. Although Biscuit is a black labrador retriever, she has a golden heart that people seem to ignore. Even with her sweetness, she has not been noticed. 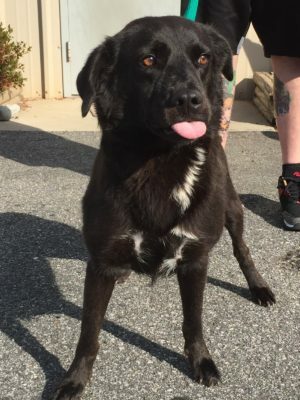 This past week, the Northeast Georgia Animal Shelter in Lavonia, Georgia took in many unwanted dogs, leaving Biscuit on the kill list. With little space in the shelter, Biscuit had to give up her spot. Her sweetness and golden heart paid off as she was rescued by Maine Lab rescue in Georgia. Thanks to Rescue Transport USA, and all of the dedicated volunteers, Biscuit was transported from Lavonia, Georgia to Macon, Georgia, and is now safe with her new rescue. 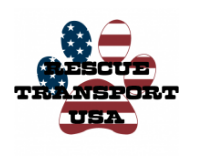 Rescue Transport USA takes animals from high kill shelters and transports them to rescues all over the country, with the help of dedicated volunteers. These animals are then able to find their forever home, and once adopted, Rescue Transport USA can also assist with the transport to their new home. Their mission is to help animals and by transporting them, they are helping thousands of animals find their happy endings. At Doobert, we know that together we can save more animals and all animals lives matter, including Biscuits. What an amazing story. Thank you to all of the wonderful volunteers and organizations that participated. We are proud to support you!